There will be 715 superdelegates at the Democratic Convention selecting the Party’s Presidential nominee, and none of them will have been voted there by any of the state primaries. In their capacity as a superdelegate, they don’t actually represent the people of their state; they represent instead the Democratic Party (and the meaning of that will become clear in this article). Each one of the 715 superdelegates will be focused, above all, on doing whatever he or she can to maximize the probability that the next President will be a Democrat, not a Republican. If the next President is a Republican, then each one of those 715 people will be considerably less powerful during the following four years than if the next President is a Democrat — any Democrat. Those 715 people are there at the Convention for only one reason: to maximize the probability of the Party’s winning in the Electoral College. If CNN’s headline hadn’t been “Democratic Party Superdelegates Are Undemocratic,” but instead “The Electoral College Is Undemocratic,” then it would have been correct, not false. But the superdelegates are an intelligent accommodation to that undemocratic feature of the U.S. Constitution: the Electoral College. So: what Sanders is trying to do is to perform better than Clinton does in the states that could go either way in the November general election. He’s virtually ignoring the states that everyone knows will be overwhelmingly likely to be in the Republican column on Election Day, no matter who the two Parties’ nominees are. He knows, for example, that Wyoming will vote for the Republican Presidential nominee, and that Massachussetts will vote for the Democratic Presidential nominee, no matter what, in the general election. So: those states have mainly show-value for him, not real value. Success, for him, will be beating Clinton in the toss-up states, because those will be the states that will determine which Party will win the White House — in the Electoral College. If he succeeds at that goal, then here is what he’ll be telling each one of those 715 superdelegates: Don’t you want to be powerful not weak during the coming four years? I am the candidate who increases those odds for you; Clinton is the candidate who decreases those odds for you. Everyone knows that if Clinton beats Sanders in the toss-up states, then she will have earned the Democratic Party’s nomination. But the same is true for Sanders: If he beats Clinton in the toss-up states, then he will have earned the Party’s nomination. And the purpose of the 715 superdelegates is simply to maximize the probability that the next President will be a Democrat — their purpose is to measure each of those two candidates’ relative performances in the toss-up states, and to represent THE DEMOCRATIC PARTY — not any particular one state. Their function is purely a national one, and purely a Party one. Here’s a rational way to think of those superdelegates: they exist for the sole purpose of maximizing the probability of a Democrat winning the White House in November. Almost all of those superdelegates started out thinking that Clinton would have the strongest likelihood of being able to win in the Electoral College. (So, they are nominally Clinton superdelegates.) 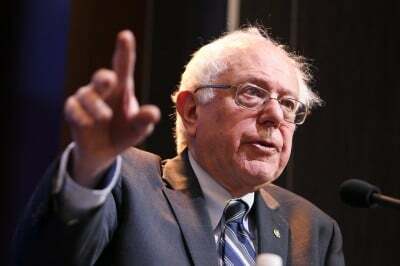 Senator Sanders is trying to persuade them that that original belief was wrong, and that he has the higher likelihood of winning the White House for the Party. His basic argument will be: look at the performance by me and by Clinton in the toss-up states, and then make your choice on the basis of your own self-interest during the coming four years. Go with the winner — of the toss-up states. If Sanders fails to beat Clinton in the toss-up sates, then he won’t have any case to present to those superdelegates — and he knows it. They’ll then stay with their original choice. Nevada, Colorado, Iowa, Wisconsin, Ohio, Pennsylvania, New Hampshire, Virginia, North Carolina, Florida. Only those 10 states are holding meaningful Presidential primary elections; all the other 40 state Presidential primaries are for show. And the reason for those 715 superdelegates is to put that truth into practice when they cast their votes at the Democratic National Convention. And, of course, if there is no clear winner of the toss-up states, then the decisions that those superdelegates will be making will be decided by factors other than the main factor (which factor is to increase the likelihood of the Party winning the Presidency), and personal preferences will instead sway, and the likelihood that the superdelegates will have unity as a bloc at the Convention will then diminish proportionately. That could produce a brokered Convention. And, so: this is how to keep score with the primaries.